In their latest issue, Travesias published a listing with the 20 favorite hotels for their editorial staff, and included three Riviera Nayarit hotels. This fact has placed Riviera Nayarit as the destination with the best lodging infrastructure according to this magazine, which is one of the most important publications in Latin America. 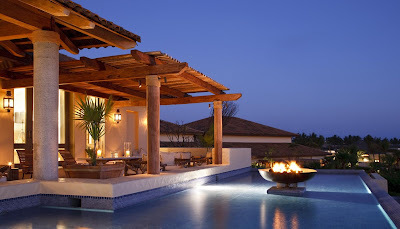 Three Riviera Nayarit hotels were the ones chosen for the Top 20 of this publication: St. Regis Punta Mita was their favorite in the beach category, while the Grand Velas Riviera Nayarit was chosen for the best Spa, and Imanta Resort as the most original in Travesias listings. “In a destination as exclusive (and amazing), there had to be a hotel like the St. Regis”, stated Travesias, adding that some of the factors that earned this property a spot within their listing were their 24-hour butler service, the peaceful ‘small-hotel’ atmosphere, and their grand resort facilities. Regarding the Grand Velas Riviera Nayarit, Travesias said: “Besides the Spa, this is one of the first hotels that proves that an all-inclusive resort can also be a high-end one”. Travesias is one of the most recognized travel publications in Latin America, with an approximate distribution of 50,000 copies, out of which 10,000 reach luxury travel agencies in the continent, and 11,000 to the associates of the main airlines in Mexico. The Convention and Visitors Bureau of Riviera Nayarit congratulates these three hotels for their constant efforts to improve their products, with the belief that hard work is one of the main allures that Riviera Nayarit has to position itself among travelers’ preferences, and the reason why they received this recognition. I like this one great and wonderful hotel of Travesias.It is so popular and world best hotel and resorts.Really,It is so beautiful hotel. Thank you Simon for your comment. Any way, which of these three amazing hotels have you been at?